Soon the house was filling with the wonderful aroma of cinnamon, cloves and apple and my dining room table remained covered with stacks of recipes, magazines and cookbooks. After her husband passed away, my husband, in highschool at the time, moved in with this grandmother to be a help and keep her company as she adjusted to her life without her beloved. 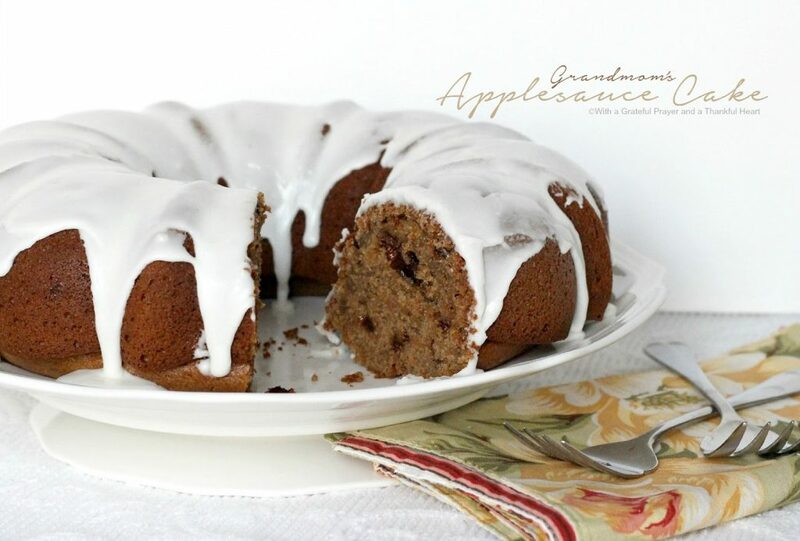 He fondly remembers his grandmom making Applesauce Cake. Besides being a very good tasting cake it holds special memories of his grandmom. When we were just married, it was one of the first desserts he asked me to make for him. Grandmom shared the recipe with me, written on a little 3-inch by 5-inch index card. This recipe does not call for frosting but I think it is better with frosting. In bowl, whisk together flour, brown sugar, baking powder, baking soda, cinnamon, ground cloves and salt . In mixer bowl, beat eggs, applesauce and oil to combine. With mixer on low, add dry ingredients and beat. Increase speed and beat 3 minutes. Stir in walnuts and raisins. Pour into prepared pan. Bake 40-50 minutes or until toothpick inserted comes out clean. Cool in pan on wire rack for 15 minutes. Sprinkle with 10X sugar and serve with whipped cream. Frost, if desired, when completely cool. enough cream or milk for desired spreading consistency. Stir all ingredients in small bowl. Spread or drizzle on cooled cake. 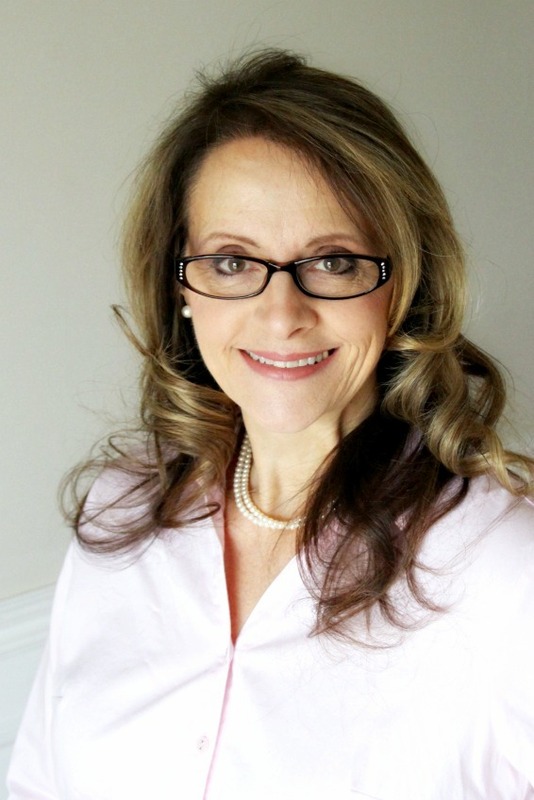 I continue to feel so grateful to you for all the great recipes you so beautifully share with us. 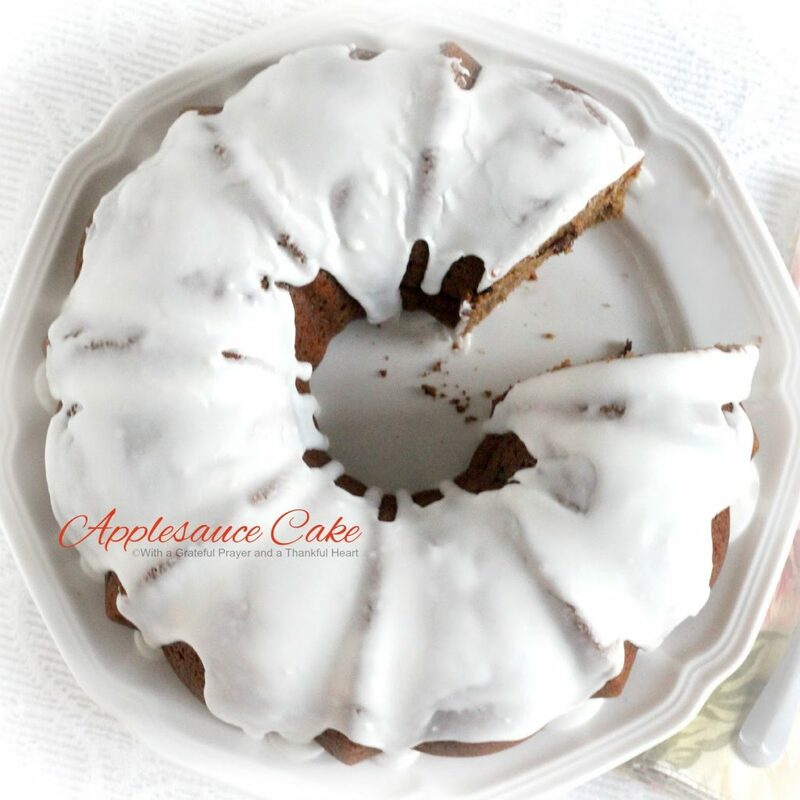 This applesauce cake is bound to be a hit in our family, because applesauce is one of their favorite foods. Thank you! Oh, you always share the best recipes and this is no exception. I may well make this for next weekend. My little Princess loves applesauce and bet she'd love this cake. Thanks a million and happy Lord's day! 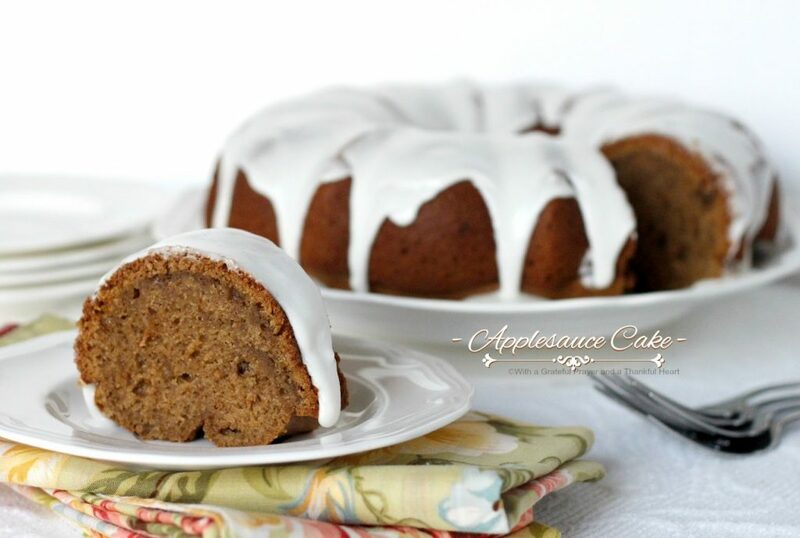 My mum made applesauce cake often. There was always homemade applesauce. Whether we lived in a town or on the country she's get the windfalls in September and October and the house would fill with the smell of apples cooking down. Mum always put raisins in her cake. Thanks for the memory! This sounds like a wonderful cake!